Light house in Mouille Point, Cape Town. for the flash of red SC. Great colours,love the candy stripe. The perfect dash of red!! Excellent sc. What a fabulous lighthouse. Wonderful for the Flash of Red. Very nice selective coloring. Wonderful punchy colour work. Lovely. Perfect for the challenge, love the pop of red! Great selective color. 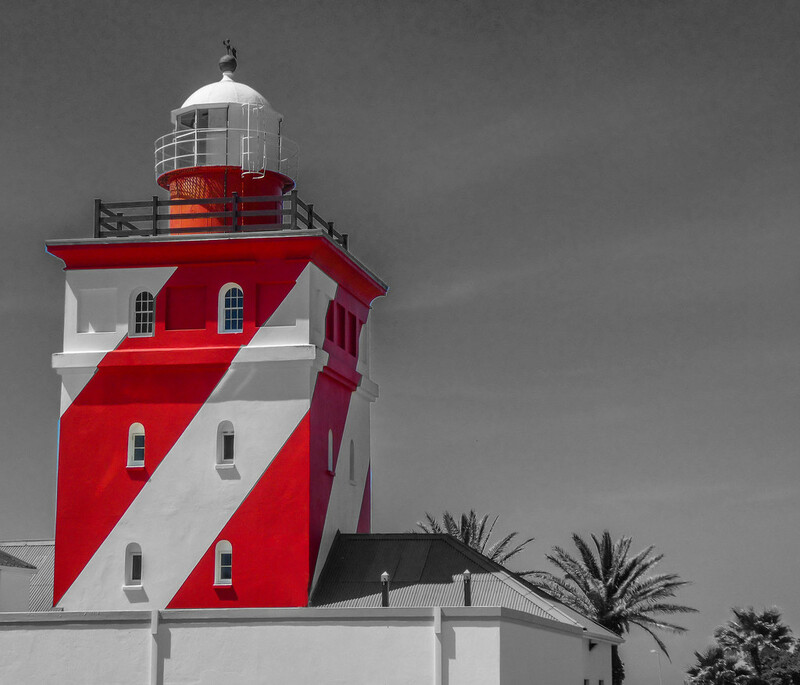 Love this white and red light house. A great shot of this beautiful lighthouse. Great job for flash of red! What a fabulous paint job!! Perfect selective coloring. Nicely done.